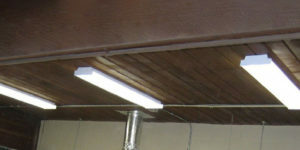 Over the years Eco Lighting has earned a trustworthy reputation through quality products and customer satisfaction. When buying one of our energy saving products we offer a guarantee with a 3-5 year warranty on our LED light bulbs. We focus on quality, offer consultations and educate our clients on what is the best solution for their environment. If the product purchased does not suit their setting we will re-analyze and look into other options. Lastly, all our products are CSA or UL approved and is being installed according to building code by a qualified professional. How do we save our customers money? We provide our clients with full service solutions to minimize the impact of increasing energy & maintenance costs through professional and client oriented services. When we review a building we only recommend the upgrades that are right for the client, will save them money and solve their lighting problem. A large residential or commercial building could save between $50,000.00 and $100,000 per year in energy and maintenance costs.